I read a lot of articles about music industry issues, and when I recently read this headline: "How Many Subscribers Does a Digital Music Service Need to be Profitable? ", something struck me. Before I could even get to the body of the piece I thought: "Oh, another article about their music business model—but, what is your music business model?" If you're a musician (or any entrepreneur for that matter), stop and ask yourself that question. What is your model? I've heard the music publishing business described as "a business of pennies"—but that is now true more generally. Nobody has to point out that the music business is an increasingly fragmented marketplace, and so, capturing every available revenue stream is (or should be) every musician's goal. As an artist manager and record label consultant I ask myself the same question on behalf of my clients every day. A musician's profits are increasingly derived from multiple—but separate—revenue streams, yet all of them have one thing in common: the musician at the center of the business. The key is to identify the revenue streams as they pertain to you, the musician, and then develop a plan that exploits your talents in ways that will not only leverage those streams, but make them work together and form a coherent business model. What kinds of merch do your fans buy? Would sheet music sales generate new income? Is there a market for a limited-edition version of your next recording? These questions are vital to anyone's business and by asking and answering them you can zero in on what it is you do and how that will make you money. Apple announces streaming service iTunes Radio. 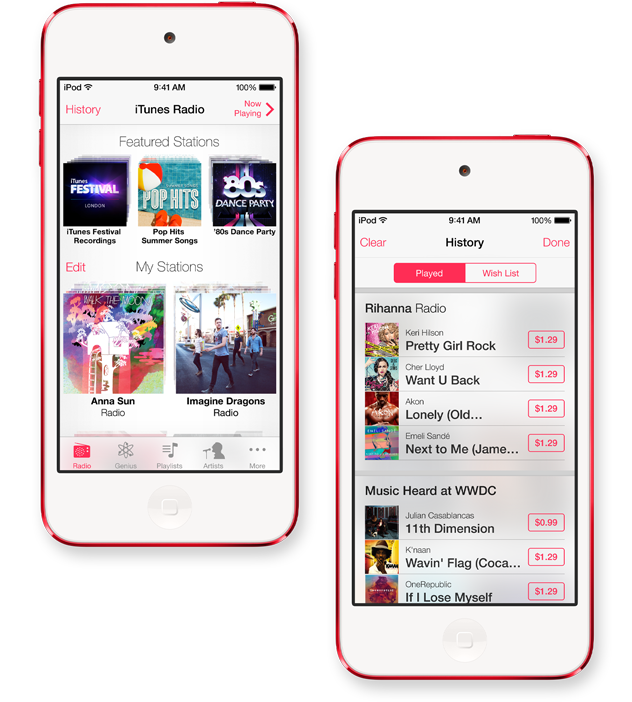 At this week's WWDC, Apple announced iTunes Radio, its long-awaited entry into the streaming music space. The service is similar to Pandora in that it uses information gathered about a user's personal tastes (by iTunes Genius) to construct playlists, drawing music from the entire iTunes catalog. The service will be free and ad-supported, though iTunes Match subscribers won't see the ads. iTunes Radio will launch this Fall in conjunction with the rollout of iOS 7. An interesting side note here is that apparently Apple has obtained the streaming rights through direct licenses and not compulsory ones. As I described in a previous post, streaming services have a variety of royalties to pay, depending on whether the service is considered "interactive" or "non-interactive". Pandora has claimed that the government-mandated rates it pays are "too high", yet Apple has entered the space paying rates that are likely even higher. This is important, as it will make it more difficult for Pandora to compete. Something to remember here is that companies compete not just for customers but also for market share. Apple's entry into this space is the result of that. It's interesting to hear non-industry people describe their experiences with streaming services: some insist on the choice provided by interactive services and others are happy to have an algorithm choose their playlists for them. Access models are definitely the future of music consumption, but what is unclear still is what features the public will demand from their service of choice and how that will affect the overall model. The bottom line is that it is imperative for music companies (and artists) to get into this space. Apple is doing just that.